In December of 2017, Bitcoin was pushing the $20,000 mark with many experts predicting a run much higher. The bull market turned bear and BTC is currently priced at approximately $7,000 per coin. This sixty plus percent retraction has led altcoins to retract even further. Bitcoin’s dominance in the past three months has increased as the total market cap of all cryptos has decreased. BTC now makes up a greater share (percentage wise) of the total crypto markets than it did in December, when its price was 200% higher. Markets in turmoil usually scare investors away. However, the savvy investor is keenly aware of the opportunities markets in turmoil provide. There are buying opportunities galore with many altcoins having major events on a weekly basis. Rotating one’s holding from one altcoin to another week to week is a timely task but if accomplished in a sophisticated manner can lead to substantial returns outpacing Bitcoin and the rest of the crypto markets. This week has 5 altcoins with major events: PRL, UKG, EOS, PKB, and BRD. The SHL airdrop to PRL holders is finally a week away! On April 6, 2018, each holder of PRL will receive a 1:1 ratio of SHL for each PRL crypto held. Last week no exchanges had announced support for the airdrop. However, this week, the exchange PRL is predominantly traded on expressed their support for the airdrop. Now holders of PRL in their wallets or on the main PRL exchange can easily attain the SHL tokens. PRL is planning to revolutionize the way web hosts earn an income. Instead of advertising revenue making up the majority of income for web hosts; PRL intends to replace ad revenue. Web hosts will soon be able to input a line of code into their websites that allow for no advertisements but still provide revenue based on total views/visitors. How is this completed? Well, the visitor to the website is unaware but a miniscule amount of their spare computing power is used to confirm transactions on the PRL network, rewarding the webhost in PRL tokens. The amount of revenue attained from removing advertisers is expected to surpass the amount received from running advertisements. 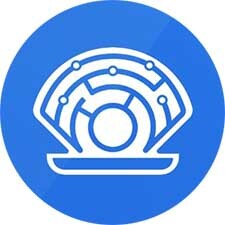 PRL is a great crypto without having to airdrop SHL, but SHL adds any entirely new degree of value in the form of an airdrop. SHL intends to decentralize the internet and if it comes even close to its ambitions should increase exponentially in value. As airdrops approach the underlying crypto usually increases until exchange support is announced or declined. If a major exchange supports the airdrop the value of the underlying crypto tends to increase until the date of the airdrop. If an exchange declines support for the airdrop the crypto generally retracts significantly as individuals have to decide to move the crypto to a desktop/application based wallet or to sell at the current price. PRL received support for their SHL token airdrop on the main exchange PRL is traded. This week should be a very positive week for PRL. Following the airdrop, there should be a significant correction in the price of PRL as many are currently holding for the SHL token. 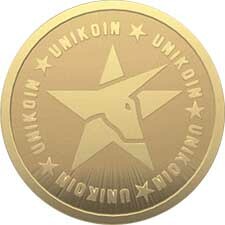 Unikoin Gold (UKG) is an ERC-20 token that has been incorporated into the Unikrn platform. The Unikrn platform specializes in licensed, legal betting on eSports tournaments and matches. UKG provides a reward and incentivization structure for teams, players, and the participants of eSports. One of the biggest backers of the Unikrn project is the infamous Mark Cuban, billionaire, investor, Dallas Mavericks owner, and television personality. With investors such as Mark Cuban and a major upcoming week UKG should see a strong rally in the short term. UKG is fairly useless without its Esports live betting and spectator betting platforms. Well, these platforms allegedly go live this week, on April 6, 2018. If UKG achieves this deadline the price of UKG will respond accordingly in a positive manner. Similarly, if UKG misses this deadline the public will lose faith regardless of the importance of Mark Cuban. What UKG is “supposed” to be, a major aspect of their roadmap, and the backbone of the platform is supposed to go live in less than a week. The ability to access spectator and Esports betting is what gives UKG utility. Utility adds value more than anything else in the crypto space. If UKG is able to implement spectator and Esports live betting this week UKG should see a nice boost in sentiment regarding the coin, and the underlying value of UKG. EOS is a similar cryptocurrency to Ethereum (ETH) but excels in areas ETH fails. EOS specializes in scalability, an area where ETH suffers greatly. However, ETH has attained the most important thing of all: market penetration. The overwhelming majority of ICOs from the past year were ETH based on the ERC-20 platform. This sheer quantity led to many scaling problems for ETH and this is specifically where EOS excels. For those that are not technology advanced understanding what Dawn 3.0 is will be fairly difficult. To summarize, Dawn 3.0 is finally stable enough to release as an Alpha and will soon become the GitHub master branch for EOS. This substantial development for EOS ensures its relevancy in the future as long as ICOs continued to be launched. EOS is on the cusp of being fully implemented and functioning. Once these benchmarks in their roadmap are met, EOS will have an inherent advantage when compared to other cryptos that specialize in ICOs. It is expected by many crypto enthusiasts that EOS is the only capable platform able to handle full-scale commercial decentralized applications. 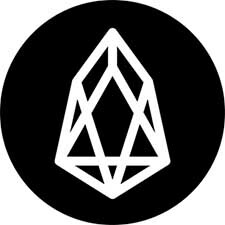 Once this is achieved developers and investors will flock to the EOS platform for its advantages over other ICO platforms. Dawn 3.0 is the beginning of being able to understand what these advances truly include. The BRD token was sold during an ICO to raise money for the Bread App (a great mobile wallet for iOS and Android). It seems curious but currently, the Bread App only can buy, sell, and transfer Bitcoin (BTC). The Bread application currently does not have the ability to hold the BRD token. This will obviously change in the short term with April 7, 2018, being the targeted date. The plan according to BRD is to update the iOS and Android applications to support ETH, ERC-20 tokens, and Bitcoin Cash (BCC). BRD currently has no utility and cannot even be held in the Bread application. This week should be the last week the Bread application cannot hold BRD tokens. By incorporating BRD, ETH, ERC-20 tokens, BTC, and BCC all in one mobile wallet many individuals may begin using Bread for its overwhelming benefits. 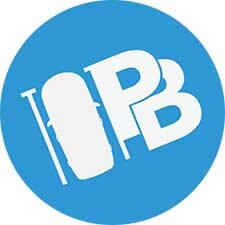 Once BRD can be held on the Bread application the plan is to allow BRD to be used to “unlock” special features within the app. If a wallet user has 10,000 BRD for example, they may be able to purchase BTC for a 1% fee instead of the industry standard of over 4%. The more BRD you hold in your wallet, the more benefits the user will receive for possessing them. BRD’s token is about to be given significant utility by being able to provide the holder special benefits within the Bread application. This system creates an environment where holders of BRD are not selling but continuing to acquire as their will be benefits based on quantity held. By decreasing supply on the open market while increasing utility of BRD, the price should correspondingly increase. Not all news is “good” in crypto. PKB is being delisted from Bittrex on April 6, 2018. PKB was unable to provide all the documentation Bittrex requested in the 7-day time frame they were given. Unfortunately for PKB holders, this resulted in their delisting by Bittrex. Other cryptos like MTL have rebounded following their delisting but it seems PKB may fall into the majority category and fade into oblivion unless they can create positive sentiment very quickly. Being delisted from Bittrex generally is a “nail in the coffin” unless significant changes, public outreach, and a strong team remain. PKB has a solid team but with a market cap of under $500,000, it seems unlikely they can revive their project following a Bittrex delisting. However, if they are able to this very small market cap crypto that can still be purchased on Bittrex will skyrocket in value. Of the coins on this list this is the only one that is reasonably expected to continue fading into oblivion. There is no real ability to short this crypto which would be the recommendation but if you are feeling risky do the opposite of what the public does! This is crypto, anything can happen. If PKB can get themselves relisted or provide project updates that change market sentiment, expect this very small market cap crypto to increase dramatically in value. With the current negative news regarding a delisting, this is a very risky coin to hold but provides more upside than any on this list. This week has four coins with great upcoming news and one with very negative news. This is a very exciting time for crypto as a whole as many projects started six months ago are finally coming to fruition this week. With such important events in the upcoming week it is important to stay diversified while keeping an eye on five coins for the upcoming week. These five coins should fluctuate dramatically depending on the developments over the next week. The cryptocurrencies to focus on for the week of March 1, 2018, include PRL, PKB, UKG, BRD, and EOS.